Custom Search promotions enable you to put relevant information at the top of your search results for specific queries. Today, we’re announcing several new features to give you more flexibility on how and when to trigger them. Regular expressions: Use regular expressions instead of verbatim query matches to make it easier to display your promotions for all relevant user queries. Promotion URL and titles based on the user’s query: Instead of manually adding and maintaining a long list of similarly structured URLs and promotion titles, now you can use the $q variable in your promotion URL or title to replace it with the user’s query. Enable/disable individual promotions: Manually enable or disable each promotion without affecting the others. Promotions for Custom Search engines created in AdSense: Promotions now work for these CSEs (though they are still managed via the CSE’s control panel on the Google Custom Search site). We hope these new features make it easier for you to use promotions on your site. For more details and instructions, please visit our help center. Let us know what you think in our discussion forum. This entry was posted in Custom Search Blog and tagged Google Custom Search, Search on November 22, 2011 by Custom Search Team. We hope this change helps you find more great articles to enjoy, and gives more power to your +1s. 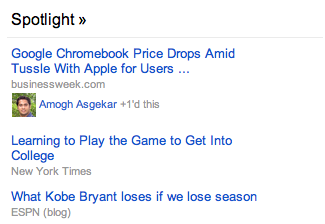 This entry was posted in Google News Blog and tagged Google News on November 22, 2011 by Unknown. In August we transitioned all Google-hosted Custom Search Engines to the Custom Search Element. Now we are transitioning iframe CSEs as well. No work is required from CSE owners. Moving from the iframe option to the Element enables those CSEs to take advantage of our latest features, like automatic thumbnails. If you had an iframe CSE, we encourage you to visit your Control Panel to find new tools for customized presentation and results. As always, we appreciate your feedback in the user forum. This entry was posted in Custom Search Blog and tagged Google Custom Search, Search on November 10, 2011 by Custom Search Team. As we announced in our Official Google Blog post, Custom Search technology is powering the new National Resource Directory (NRD) job search engine of more than 500,000 job openings from employers around the country. This initiative is a creative application of structured search to provide a highly customized search experience. Want to learn more about how this works? First of all, like all custom search engines, this uses the power and scale of Google search to constantly crawl the web, looking for structured data to add to the Google index. In this case, sites like simplyhired.com have added JobPosting markup from Schema.org to their sites to help search engines identify veteran-committed job openings, job title, job location, etc. Recognizing that many job seekers are interested in jobs in their local area, the NRD did some extra work to support a location-based search. When a user specifies a location such as a city or a zipcode in a search, the location is converted into a list of nearby cities with normalized names that match those location markups in the job posting webpages. To restrict results to only the relevant job postings, for every user query on their site, NRD sends a well formed query request to Google Custom Search including structured search operators such as filtering by cities and job codes and sorting by date to receive XML results and render them on their site. We’re happy to contribute to this important initiative and hope the power of Google Custom Search can help more businesses to deliver creative search solutions for their users. This entry was posted in Custom Search Blog and tagged Google Custom Search, Search on November 8, 2011 by Custom Search Team. 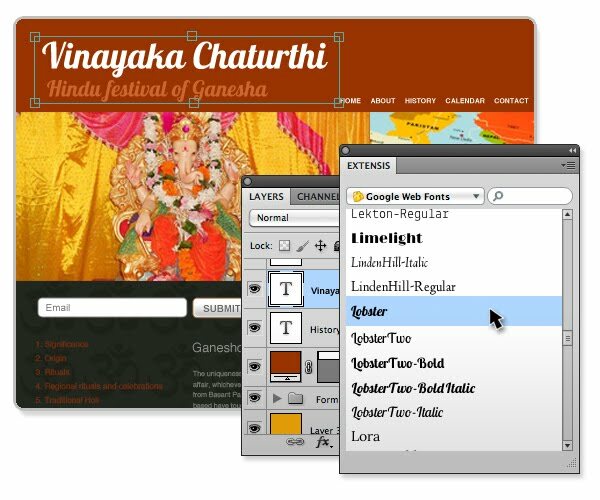 Do you use Photoshop® to design your website? 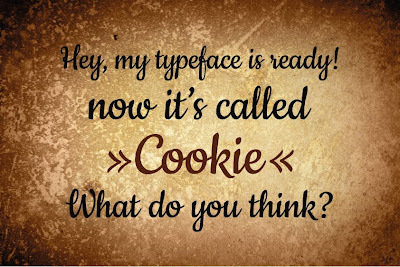 Looking to spice it up with cool web fonts like Lobster or Dancing Script? Well, now you can do that and more (with over 280 font families) using Google Web Fonts right in Photoshop®. That’s because, today, Extensis has added support for Google Web Fonts to their Web Font Plug-in for Photoshop®. Now, the entire catalog of Google Web Fonts is only a click or two away! In addition to making the entire catalog of Google Web Fonts easily accessible, the plug-in takes advantage of the full power of Suitcase Fusion 3. This means that any web fonts you choose to use for your designs are automatically kept up to date, and fully activated as needed. For example, this makes it easy for you to send your Photoshop® files around to your coworkers and not worry whether they have the font(s) installed — it will "just work"! This entry was posted in Google Web Fonts Blog and tagged Fonts, Web Fonts on November 8, 2011 by David. 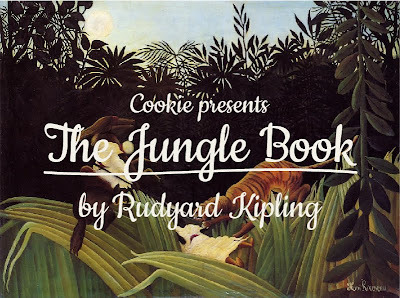 This entry was posted in Google Web Fonts Blog and tagged Fonts, Web Fonts on November 2, 2011 by Dave Crossland. Posted by Eric Weigle, Software Engineer Great journalism takes more than facts and figures -- it takes skilled reporters to knit together compelling stories. Knowing who wrote an article can help readers understand the article's context and quality, see more articles by that person, and even interact directly with them. Whole communities can form around prominent contributors, which is why we started showing information about content creators next to their material in Google Search. Accordingly, Google News is rolling out more information about journalists over the next several weeks, starting with English-language editions. When reporters link their Google profile with their articles, Google News now shows the writer’s name and how many Google+ users have that person in their circles. For the lead article for each story, Google News also shows that reporter’s profile picture and enables readers to add them to their Google+ circles right from the Google News homepage. If you are a journalist and would like to participate, please follow the instructions in our Help Center. If you are a reader, we hope you enjoy learning more about the faces behind the news. This entry was posted in Google News Blog and tagged Google News on November 2, 2011 by Unknown. Thumbnail images in search results — no work required! A picture is worth more than a thousand words when it helps search users choose the result they want. With this in mind, some webmasters have gone to a lot of effort providing thumbnails in rich snippets to improve the presentation and usability of their search results pages. We’re happy to announce that with our latest layout improvement, Custom Search Element users who have not manually added thumbnails will get them without any additional work. To learn more about automatic thumbnails (and how to disable them), see our Help Center. Automatic thumbnails are only available with the Custom Search Element. If you are using an iframe CSE, switch to the Element to ensure that you always have the most up-to-date features. We hope you and your visitors enjoy this new feature. Early reviews have been positive and we look forward to your feedback. This entry was posted in Custom Search Blog and tagged Google Custom Search, Search on November 1, 2011 by Custom Search Team.